CTOME – Software & Consulting Inc.
Metals and there elaboration process are constantly improved to meet the desired properties for novel technology in aeronautic, civil engineering, automotive and biomedical industries. These efforts aim to find an optimum balance between weight, strength, ductility, fracture toughness, weldability and reactivity to the environment. 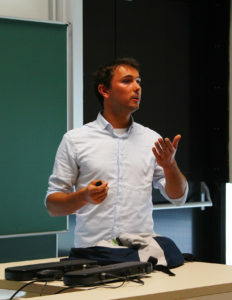 New investigations are therefore routinely conducted in universities, research institutes as well as in the industries using numerous characterization techniques. For more than two decades, laser ultrasonics has grown and now finds a place alongside other in-situ methods to provide quantitative information on microstructure evolution during industrial processing routes. The technology laser ultrasonics was developed in the bases of generating and detecting ultrasound remotely . Among others, two important benefits of using lasers to generate and detect ultrasound are i) the measurement on parts with complex shapes and ii) the investigations at elevated temperature during processes. The focus is brought here only to the later. Numerous scientific papers, patents as well as “proof of concepts” have demonstrated the potential of such technology for the in-situ microstructure control during thermo-mechanical processes of metals. This report summarises the metallurgical applications for which laser ultrasonics is well adapted to measurements in real time and identify areas where, on the other hand, it has some limitations. A broadband ultrasonic pressure pulse is generated with a Nd:YAG laser (wavelength of 532 nm) by ablating a thin layer at the sample surface (~10nm). 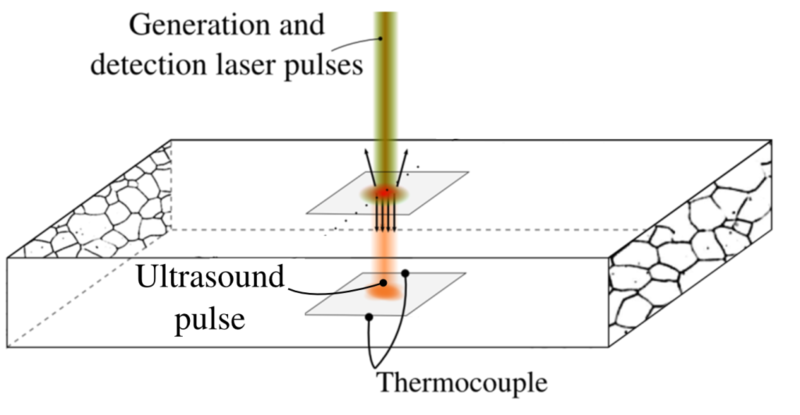 The ultrasonic pulse propagates back and forth through the thickness of the sample and is detected with a second Nd:YAG laser which illumi-nates the surface with an infrared radiation. The ultrasound properties measured in this technique are representative of the volumetric properties of the material. Ultrasonic velocity depends on the elastic constants and density, i.e. crystal structure and texture, whereas ultrasonic attenuation is primarily related to the average grain size. In steels, methods were previously developed to correlate laser ultrasonic measurements with the austenite grain size, the recrystallization of ferrite and austenite, as well as the austenite decomposition. These studies provide proof of concept but further exploration of the LUMet technique is critical to develop it into a reliable tool for process design and control in industry. The CTOME software is dedicated to the processing of data in metallurgy. 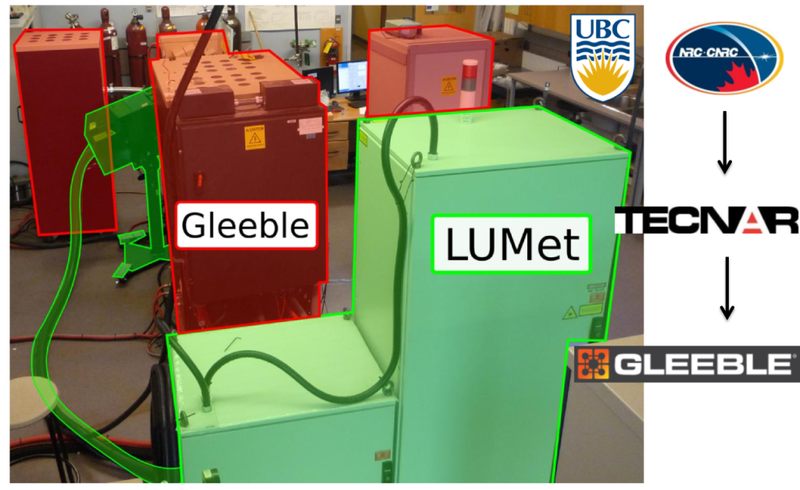 The software is being developed in the frame of research conducted in the Materials Engineering department at the University of British Columbia. CTOME is developed to be a powerful software for the metallurgical scientist that requires a fast access and treatment to large amount of data. The technology is developed by a joint collaboration of the University of British Columbia, the National Research Council of Canada (NRC Documentation), and the companies Tecnar Automation Ltée and Dynamic System Inc.